Its rare that we have themed weeks on Disney Hipster Blog, especially considering our scattershot schedule since moving this past July. However I am so deeply, madly, crazy in love with the Harambe section of Disney's Animal Kingdom that I thought I would dedicate a whole week to that land. It will be a full week of content on all platforms. 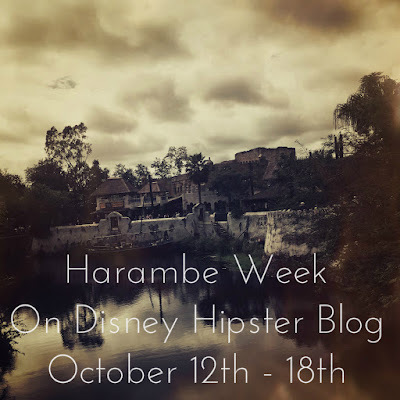 Our Tumblr and Insta will both be Harambe heavy, and this blog will feature guest posts, reviews and NEW VIDEOS. Yay. Get excited folks, because its not that often that I attack a subject with such zeal. I can't wait!